All of us have to deal with rubbish pretty much every day. We use skip bins, recycling centres and waste removers to get rid of our garbage. But it adds up. Today, there are nearly 67 million people in the United Kingdom, and we all produce rubbish – from small households to large businesses and corporations. This makes how we choose to dispose of our rubbish crucial. 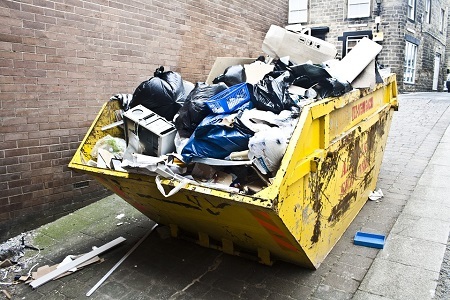 While some people opt for professional rubbish removal services, others would much rather deal with it on their own terms, and this can be dangerous, especially if toxic wastes are involved. When it comes to waste disposal, soil contamination is the leading issue. When waste builds up in landfills, toxic elements can leak into the soil and remain there for generations. This is especially true in the case of the many plastic items which we use in our daily lives – plastic bottles, plastic cups, straws, throw-away bags, etc. These take ages to dissolve, but when they finally do, they release DEHA – a dangerous carcinogen, which affects our reproductive system and livers while also causing weight problems. You should always take your recycling to heart! The chemicals, released by plastic items also affect the air. The dangerous dioxins, emitted by waste diffuse in the air that we breathe, contaminating it with allergens, carcinogens and hurting the ozone layer in the process. Furthermore, improperly disposed waste creates the perfect environment for the spread of pests by giving them shelter and a food source. A garbage heap is a home to a variety of mosquitoes, flies and rats, all of which are known for the life-threatening diseases they carry. Being careless with your waste affects much more than just your own life – it has an impact on the entire world! Many animals are suffering the effects of man-made pollution, improperly disposed of waste and garbage. Styrofoam, plastic bags and bottles, cigarette butts and industrial waste damage and even kill the marine life who mistake them for food. Furthermore, grazing animals who live near contaminated areas are also exposed to potentially poisonous substances due to the toxins seeping in the soil. Greenhouse gases are often cited as one of the main reasons for the weather changes that our world is experiencing. Decomposing rubbish plays a big part in that, as it emits various gases in the atmosphere. This causes numerous problems – strong storms, periods of intense heat and more. This is our world. If we choose carelessness, refusing to take responsibility for our actions, we are the ones who’ll suffer the consequences. Protecting our planet is everyone’s responsibility, and it’s about time we took it seriously. Otherwise, there won’t be much of a world left to hand over to those who come after us. We collect rubbish a professional rubbish collection company, based in London. If you have any questions about appropriate rubbish disposal methods, or if you’d like to get in touch with our experts, you can reach us by calling 020 3909 7640 or visiting our website. Tired of dealing with piles of rubbish? Try these tips instead!